back on the road quickly with the wheelchair scooter. 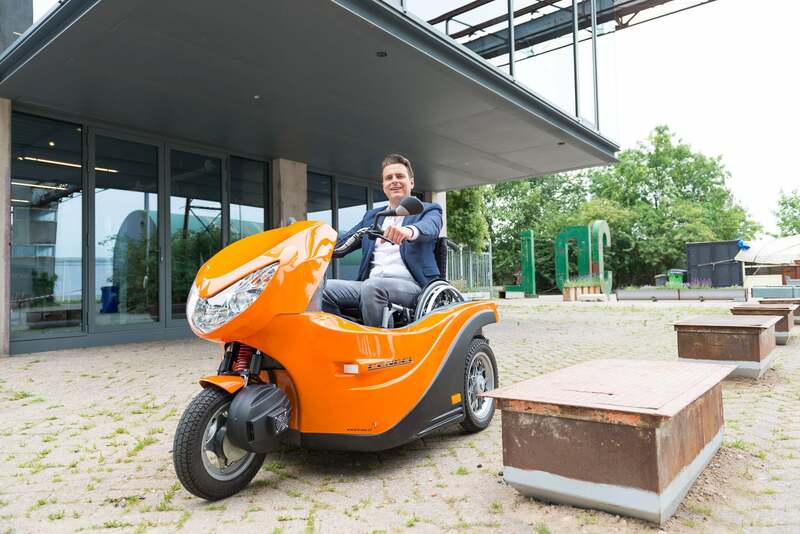 The Pendel electric scooter enables you to travel independently with your wheelchair. You ride your wheelchair into the scooter without any assistance and you remain in your chair the whole time. No tricky transfers are needed. You then raise your wheelchair using the lift and you’re ready to go. With a maximum speed of 25 km per hour and a range of up to 60 km, you’ll arrive where you need to be quickly and safely. What freedom! This makes the Pendel the best alternative to car or taxi transport. 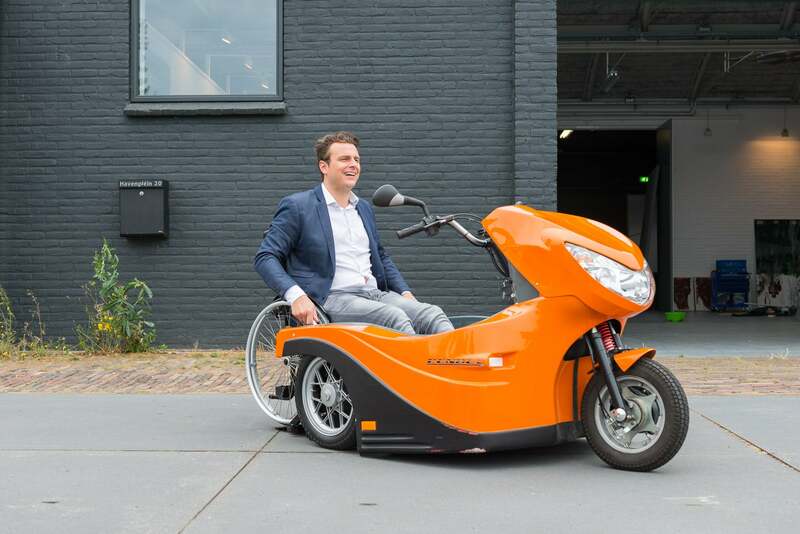 The electric motor means that the scooter is silent, emission-free and cheap to use. As well as being fun to ride! Naturally, you can choose from all sorts of accessories to make the Pendel completely to your liking. These might include an extra mirror, transfer handgrips or an adapted tailgate. We’re also open to making individual adaptations and to make it pleasing to the eye, the Pendel is available in six stylish colours. We can also supply it in a specific colour of your choice, upon request. Safety is an important aspect of any motorised vehicle. The safety of all parts has been tested and approved. 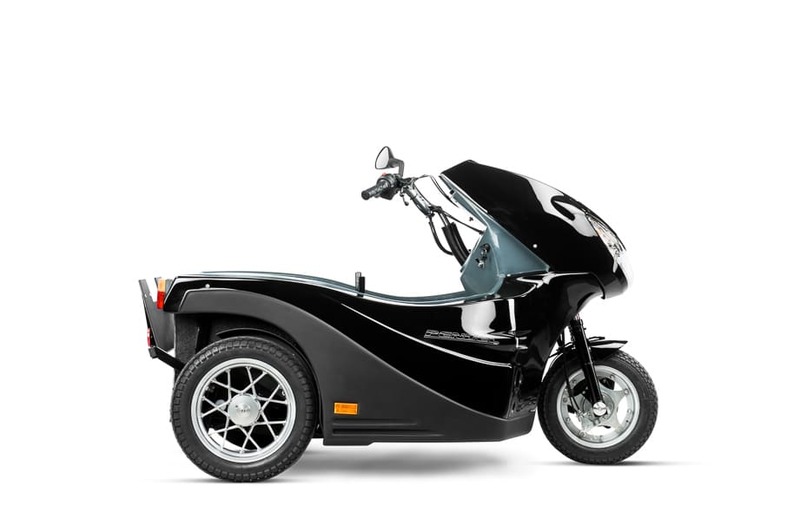 The scooter has a powerful and reliable motor, a short braking distance and a large, bright headlamp. Safety is an important aspect of any motorised vehicle. The safety of all parts has been tested and approved. 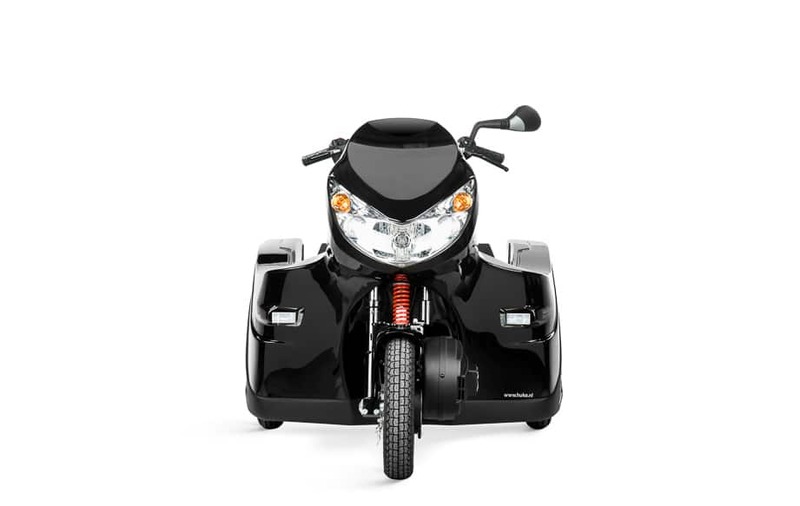 The scooter has a powerful and reliable motor, a short braking distance and a large, bright headlamp. 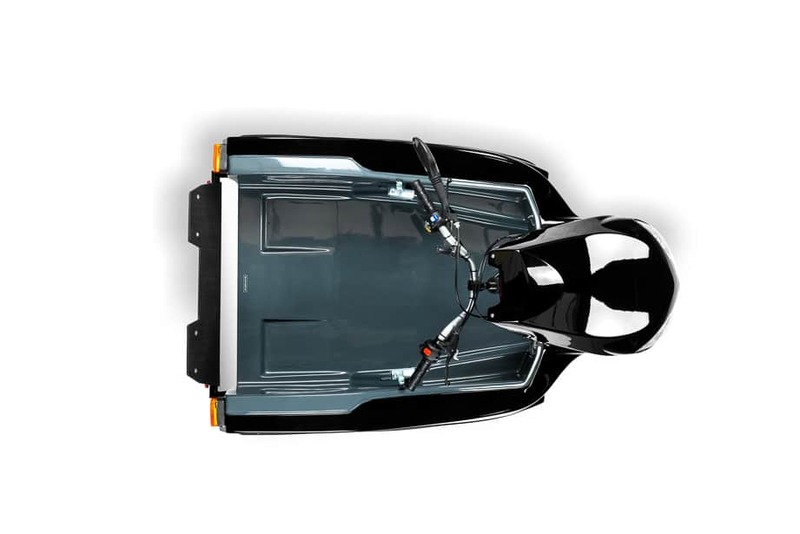 It meets all of the stringent European safety requirements and is approved as both a vehicle and a medical aid. The riding comfort is something you really need to experience for yourself, during a test ride. Feel the air suspension on the rear axle, for example, which ensures a smooth ride. The riding comfort is something you really need to experience for yourself, during a test ride. Feel the air suspension on the rear axle, for example, which ensures a smooth ride. And if you have any specific wishes, Huka is an expert in customisation and we always have a suitable solution for you.